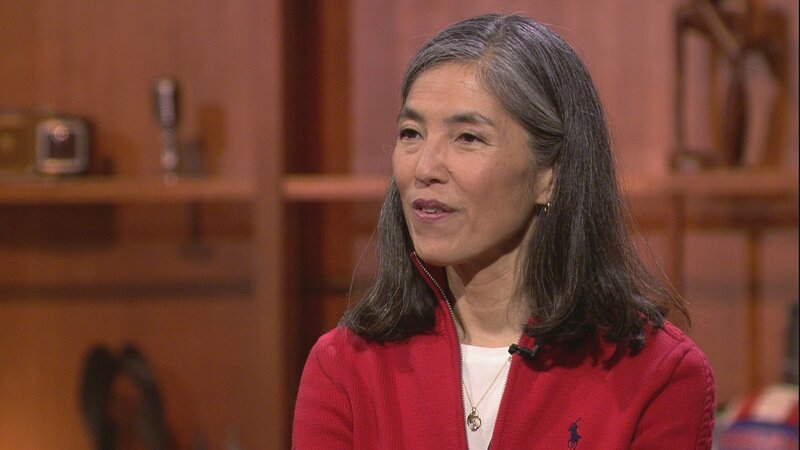 After two decades with the Chicago Department of Public Health, Dr. Julie Morita will leave her post as commissioner in June to begin working at the Robert Wood Johnson Foundation as its executive vice president. The origins of Morita’s career in public health can be traced back to a children’s book she idolized as a child: “Nurse Nancy.” In the book, Nancy pretends to be a nurse and treats neighborhood kids. “Helping people has always been my priority,” she said. While Morita wanted to be a nurse, her father also encouraged her to “think beyond traditional female roles” and consider becoming a doctor or dentist, like him. A Chicago Public Schools student, Morita was interested in math and science, which led her to the University of Illinois at Urbana-Champaign to pursue an engineering degree. “But engineering didn’t have that human interaction, person-to-person (connection) I was hoping for,” said Morita, who ended up changing her major to biology to pursue a career in medicine. About four years after becoming a pediatrician in Tucson, Arizona, Morita moved to Atlanta to join the Centers for Disease Control and Prevention, where she worked as an epidemic intelligence service officer and focused on vaccine-preventable diseases, like streptococcus and meningitis. In 1999, Morita returned to Chicago and began working as CDPH’s medical director for immunizations. She says it was that role in which she really began focusing on health disparity and equity. She noticed that while most Chicago children received the proper vaccines, not all did. “In some neighborhoods, less kids were vaccinated,” she said. The CDPH worked to address the gap by focusing its attention and resources on areas with lower vaccination rates, and coupled that with a public education campaign. “We had a lot of success in helping eliminate some of those disparities,” she said. During the course of her career, Morita led efforts to address pandemic influenza, meningitis and Ebola. The work was both “incredibly challenging and rewarding,” said Morita, who was promoted to chief medical officer in 2012. Three years later, she was tapped to be the commissioner of the department by Mayor Rahm Emanuel, who called her forthcoming departure a loss for Chicago. Morita attributes the progress that’s been made in the past 20 years to CDPH staff. “People working here are incredibly passionate and committed to addressing health and focusing on disparities,” she said. Of her accomplishments, Morita said she was most proud of her work on HPV vaccinations and tobacco legislation, though she’s a bit wary of the rise in e-cigarettes and vaping among youth. Under Morita’s tenure, the city increased the legal age to purchase tobacco products to 21, which Morita believes contributed to a drop in youth smoking rates to just 6 percent of high school students in 2017. She’s hopeful the statewide law raising minimum purchasing age to 21 will help make tobacco products less accessible to youth. “I’d love for Wisconsin, Indiana and Iowa to do the exact same thing,” she said. Morita hopes the next commissioner and administration continues CDPH’s work on promoting health equity and addressing the social determinants of health that contribute to disparities, such as access to healthy foods, transportation and health care. She also hopes they continue to address race equity and “look at the policies and systems we have in (place) to make sure they don’t perpetuate racist systems and structures,” she said.